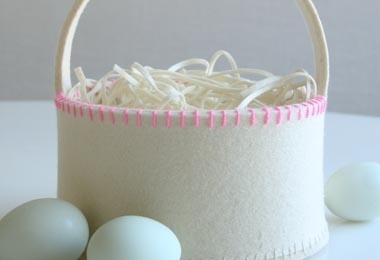 Whether hanging from a spring branch, tucked inside a basket, or in the tiny paws of the Easter Bunny herself, our Heirloom Wool Easter Eggs are sure to harbinger a very happy spring! 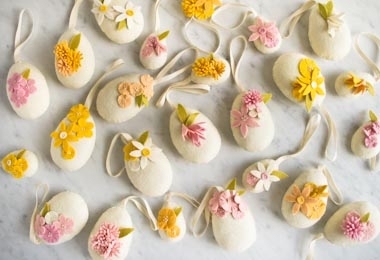 Use Purl Soho’s Heirloom Wool Easter Eggs Kit to hand sew your very own set, each one decorated with embroidered wool felt flowers. Choose from two pretty palettes: Magnolia, a collection of soft pastels, and Zinnia, a bouquet of happy brights. Please click Product Details, above, for a complete list of the Kit's contents. These are enough materials to make at least 20 Eggs in two sizes.